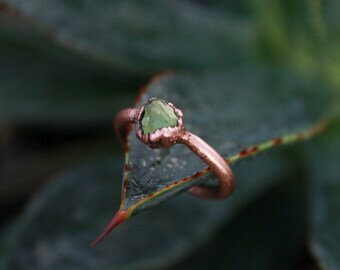 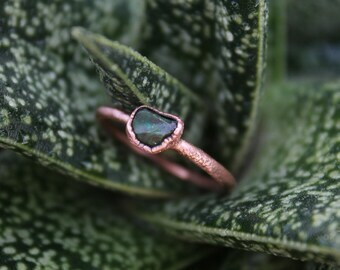 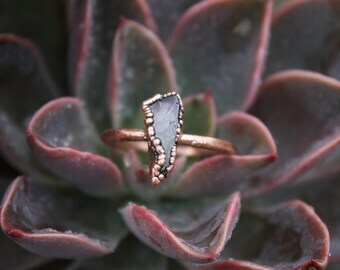 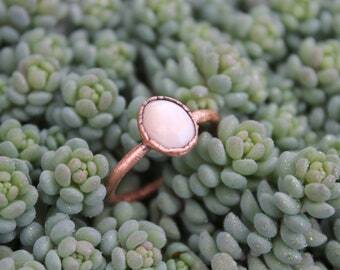 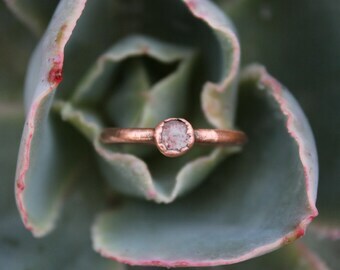 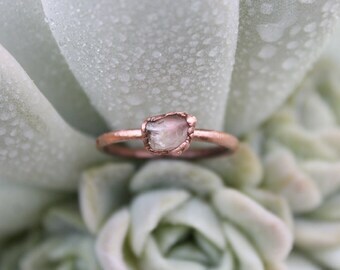 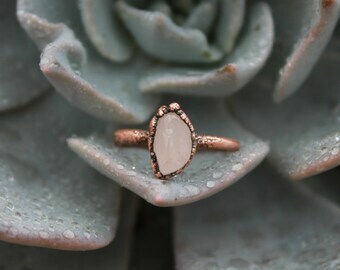 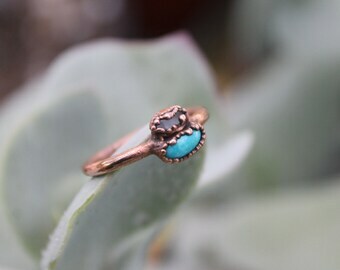 This one of a kind copper ring has two stones on the ring band. 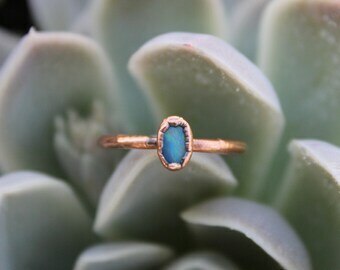 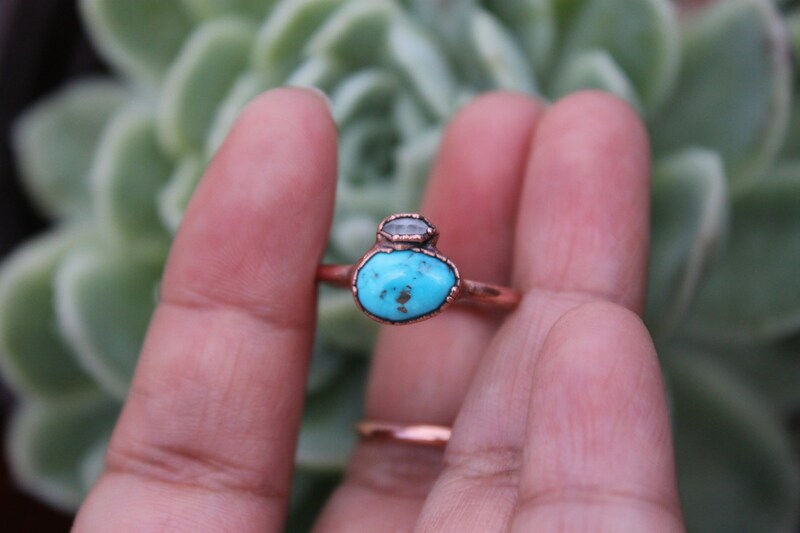 The first stone is a Fox Turquoise stone and it is accompanied by a very dainty natural Chinese quartz. 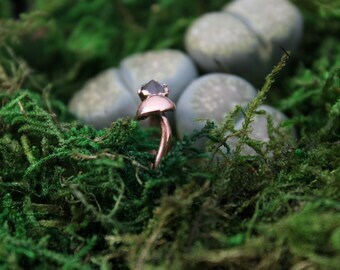 The band is made from recycled copper. 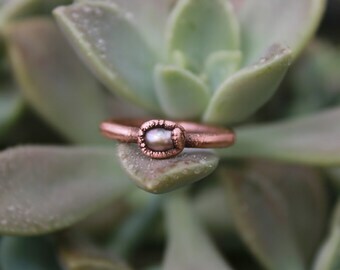 It is ready to ship + comes packed in a kraft box with a stamped cotton muslin bag ready for gift giving.